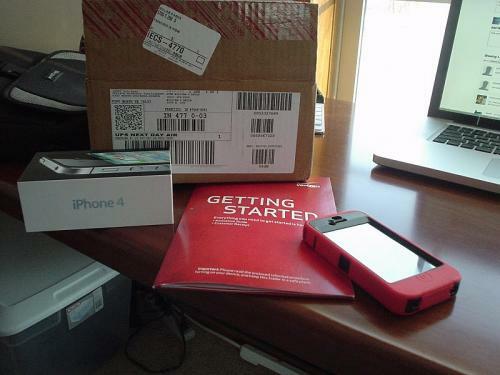 It seems the first Verizon iPhone has been delivered to its customer. The video shows an individual picking up his iPhone 4 from a UPS center on Saturday. Meanwhile, many of our readers who have ordered expect their deliveries on Monday, February 7th. Those with preorders are organizing in the shipping discussion thread and in our iPhone forums. New customers looking to purchase a Verizon iPhone 4 will have to wait until February 9th for online orders and February 10th for in-store purchasing.